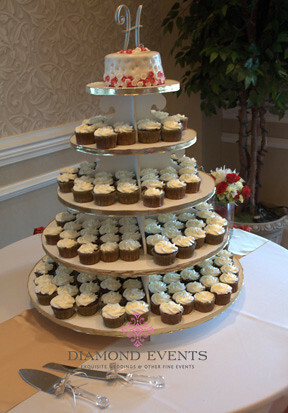 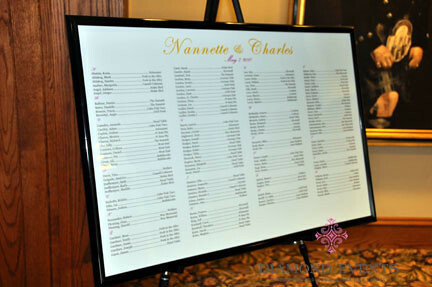 It was such a pleasure working with Nannette and Charles to create their dream wedding weekend in Blacksburg, Virginia. 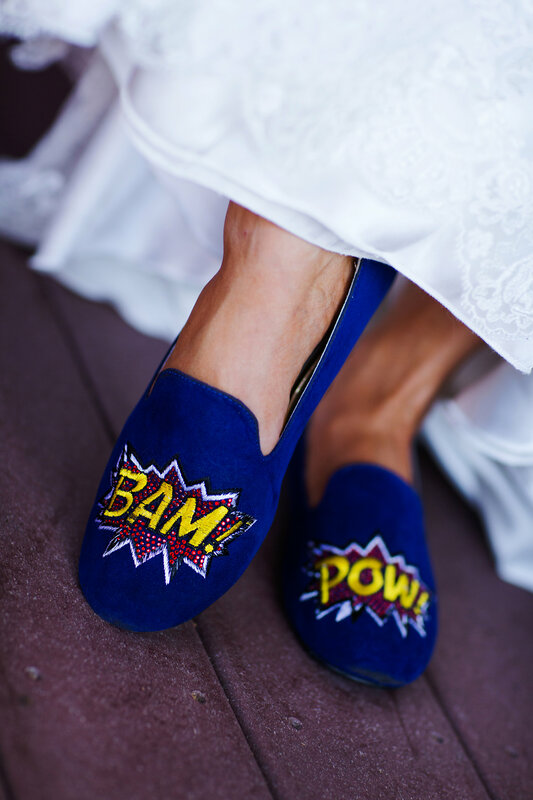 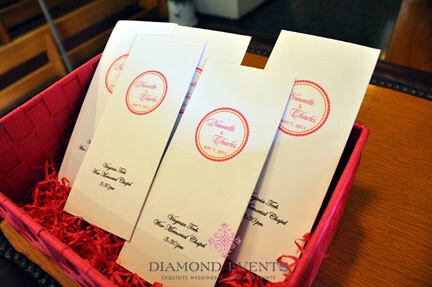 Every aspect of the wedding was filled with personal touches from the moment that guests arrived at the hotel until they they left on Sunday after breakfast. 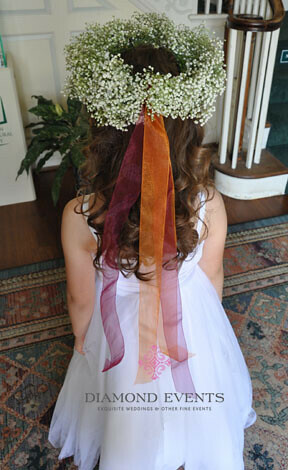 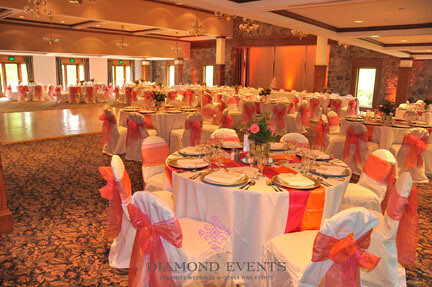 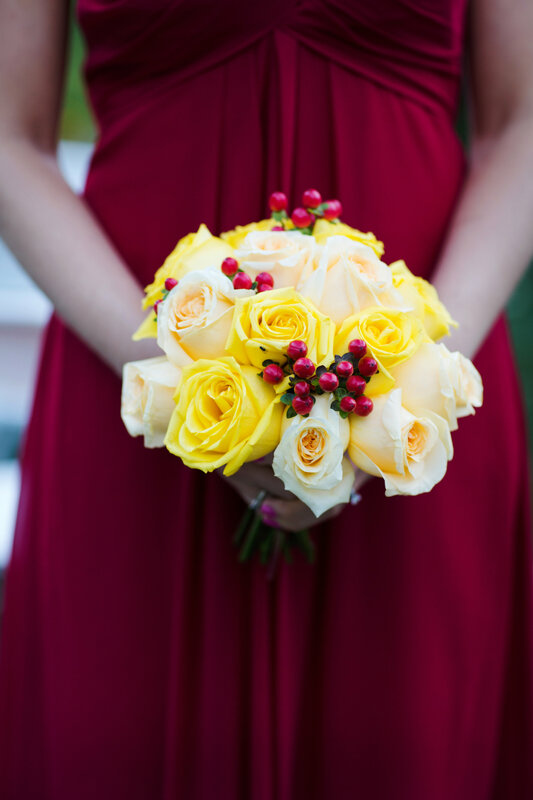 A fun color scheme of pink and orange was carried throughout the wedding. 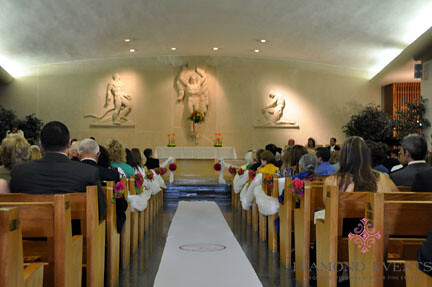 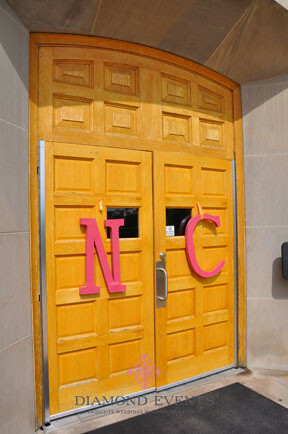 Hanging from the doors of the Virginia Tech War Memorial Chapel were two large letters, “N” and “C” and a custom aisle runner with the couples monogram dressed up the aisle. 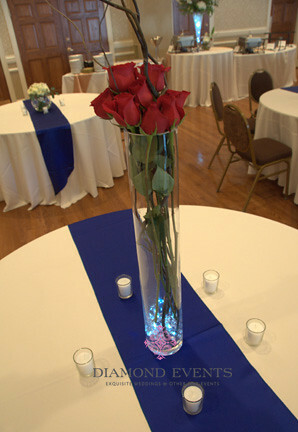 After the ceremony guests travelled by bus to the German Club Manor for the cocktail hour and recpeiton. 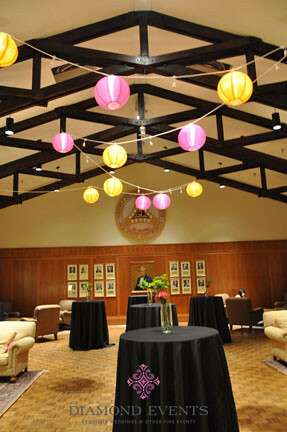 Hanging from the beams in the foyer of the German Club were orange and pink lanterns and custom pillows on the couches. 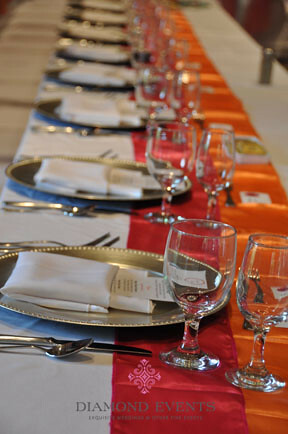 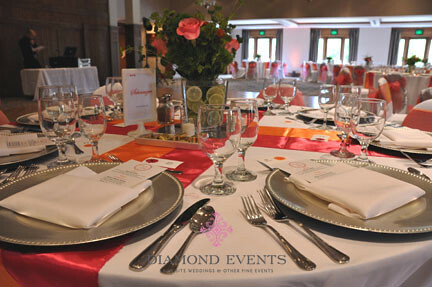 The guest tables had white floor length linens with orange and pink criss-crossing runners and white chair covers with pink and orange organza sashes. 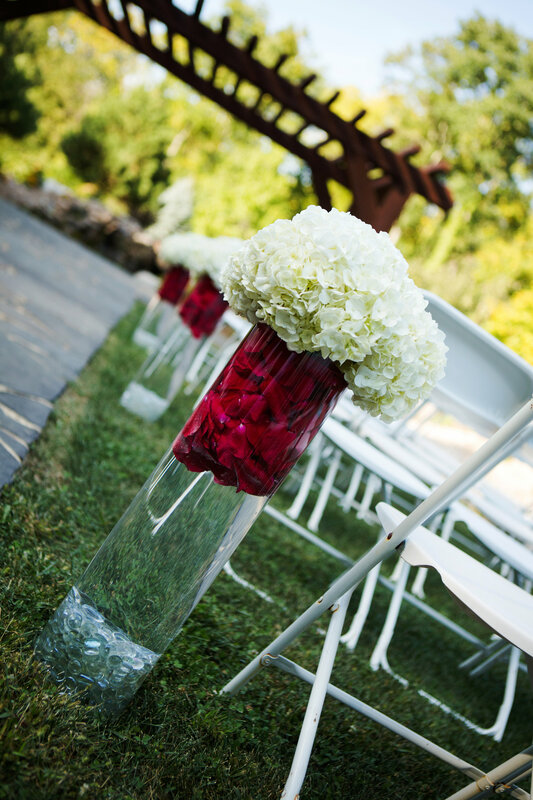 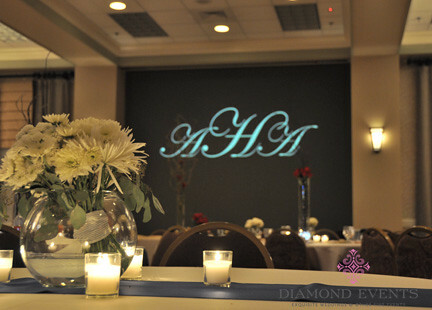 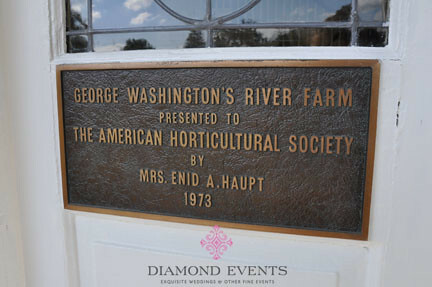 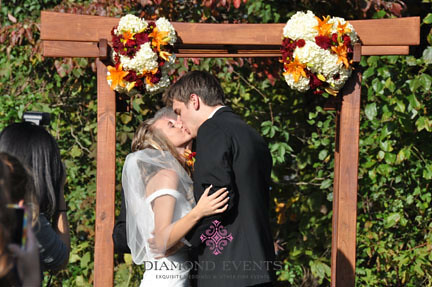 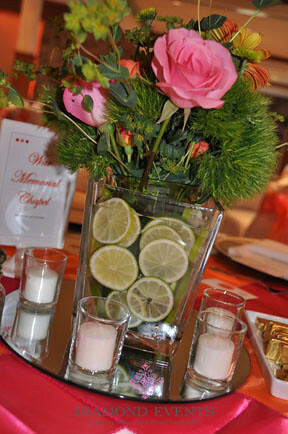 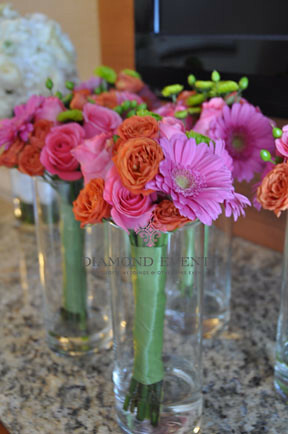 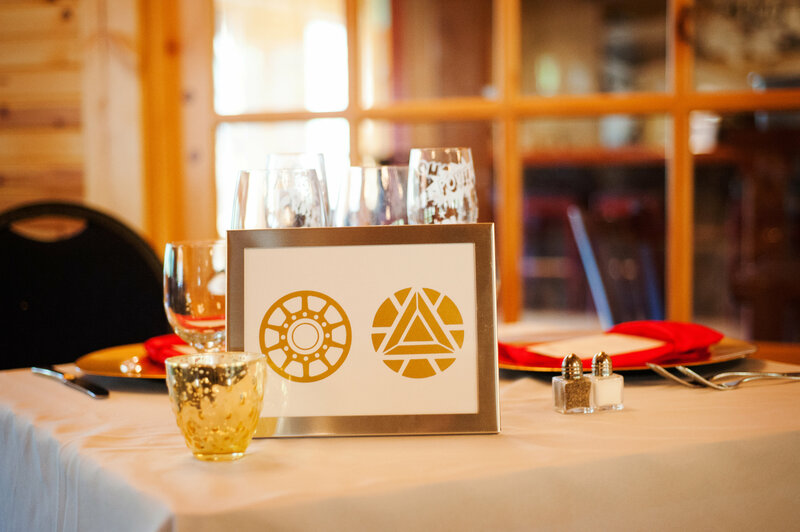 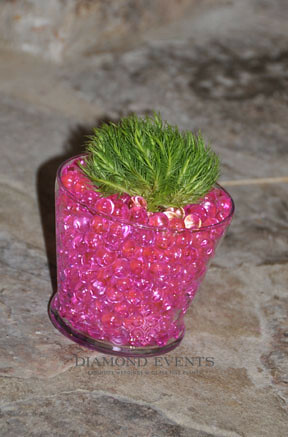 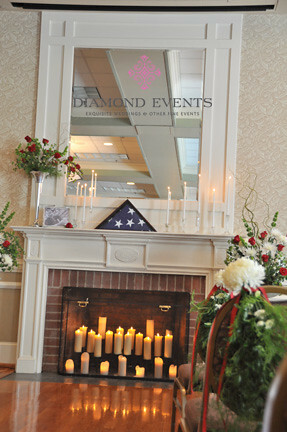 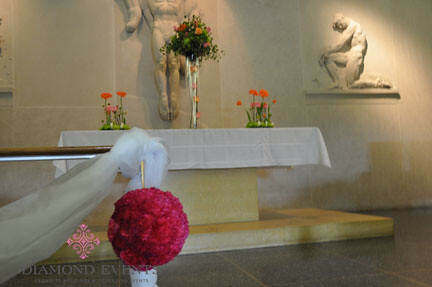 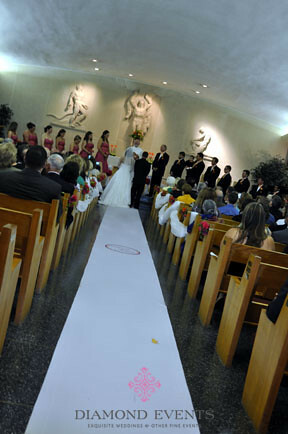 All deocr and floral element designs were created by Diamond Events. 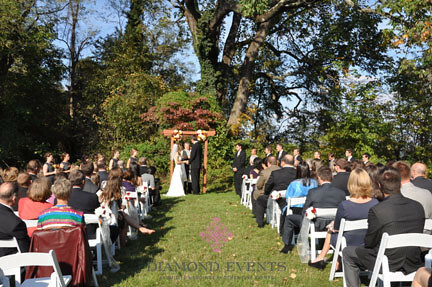 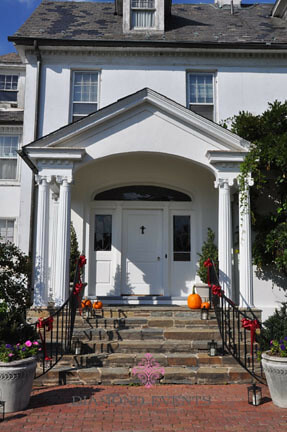 Mandie and Alec held both their ceremony and reception at the historic Vinton War Memorial outside of Roanoke, Virginia. 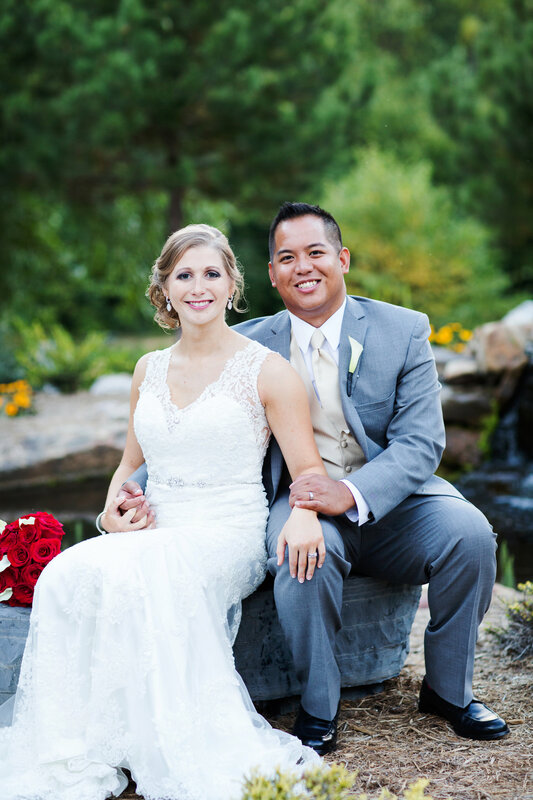 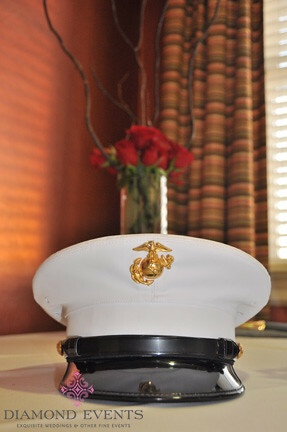 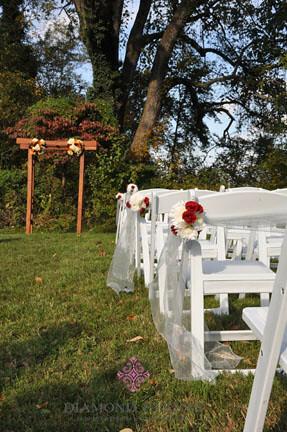 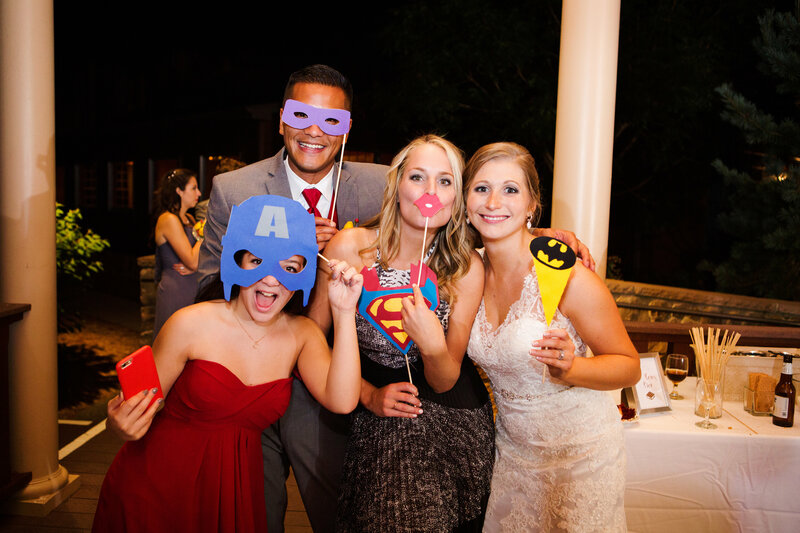 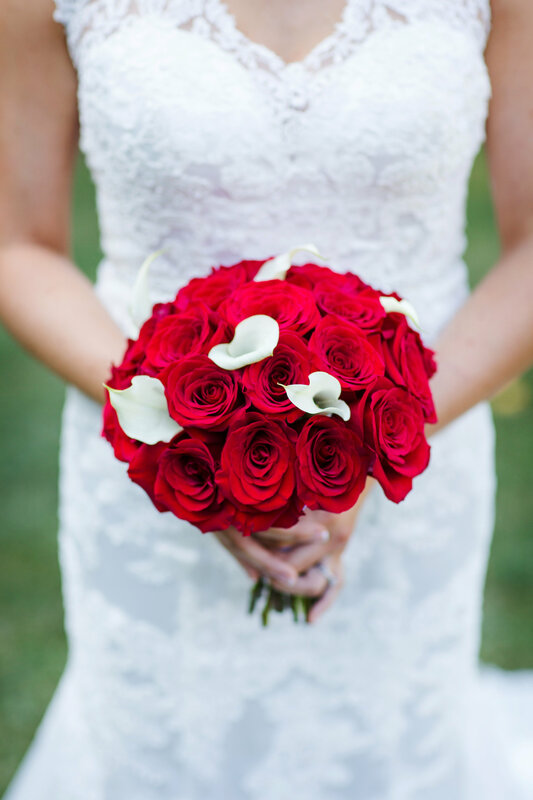 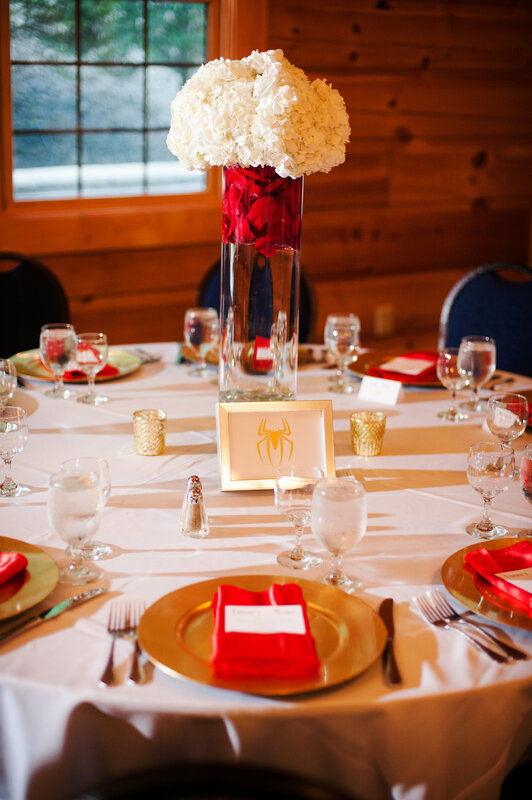 The Marine wedding held true to its colors in red, blue and touches of gold. 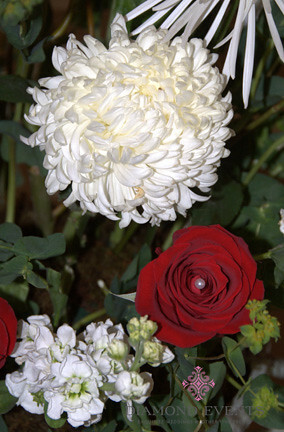 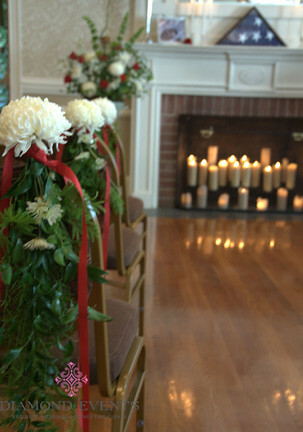 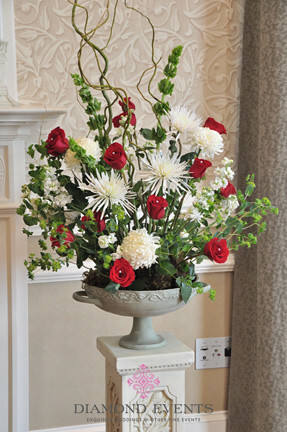 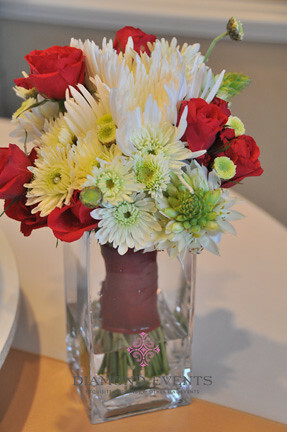 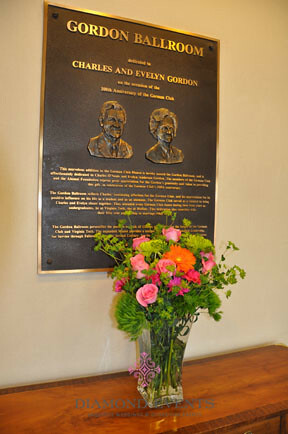 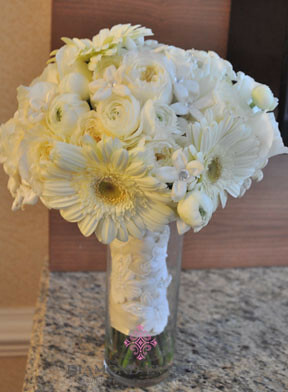 The centerpieces were tall arrangements with red roses and branches coming from the top and the low centerpieces were arrangements made of a variety of white mums wrapped in ribbon so guests were able to take a bouquet home with them. 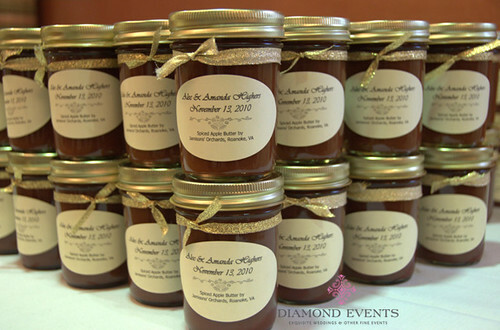 Guests also took home canned apple butter from Jamisons Orchard, what a delicious treat!